Tornike Rizhvadze will lead the Government of the Autonomous Republic of Ajara from today. According to the relevant regulations, support of more than half of MPs of the Supreme Council of Ajara was necessary to approve the new candidate. Tornike Rizhvadze was selected by the full majority of 14 votes. While delivering his speech at the Supreme Council of Ajara, Tornike Rizhvadze spoke about his views on development of Ajara and revealed several important and major directions for the region’s sustainable development. Tourism, small and medium business promotion, agriculture, education, natural resources management and green industries – these are the priorities for the new government. Tornike Rizhvadze also talked about health care and social politics, strengthening educational system and other important issues, as well as implementing number of innovative programs, digital technologies; principles of open management and rising effectiveness of management. After his speech, the Chairman of Ajara AR Government answered the questions of MPs. 29 year-old Tonike Rizhvadze has been working as a head of Energy Development Fund till today. He also was the Deputy Minister of Energy. He was appointed as a director of Georgia’s Energy Development Fund’ on December 26, 2017. 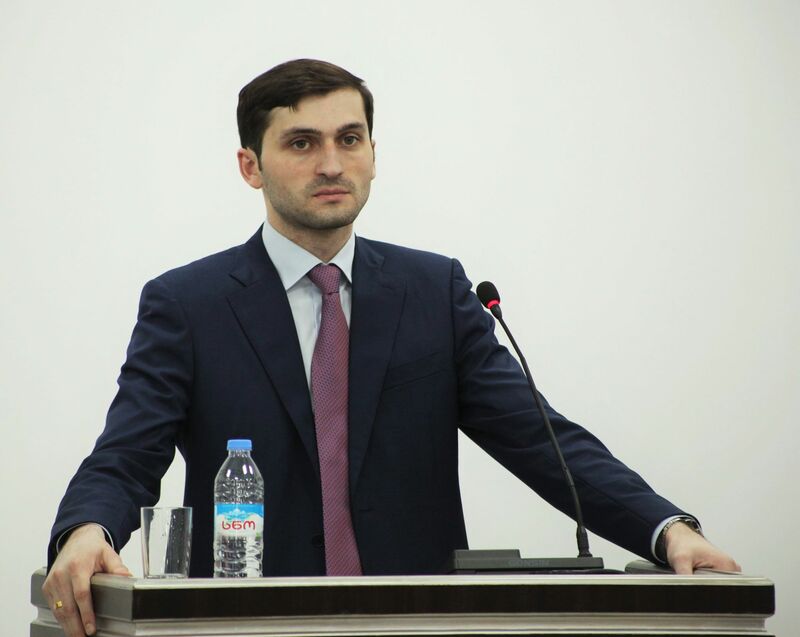 In 2014 – 2016 Tornike Rizhvadze was an Advisor to the Economic Council of the Government of Adjara in investment and economic issues. He has graduated from the Georgian and American universities. He is a Master of Law at City, University of London. In 2013 – 2017 he was a legal counsellor of ‘Ajaristskali Georgia’ and later the director of the company. In 2012 – 2013 he was involved in Chevening scholarship Program of the Ministry of Foreign Affairs of Great Britian. Later he became a Master of Law in International Business Administration. He is married, has two children. ‘We will complete government composing process soon and this will be the team of professionals, oriented on knowledge, experience and we will do a lot for the prosperity and progress of our region. A human and his worthy life will be our main focus. I hope our team will suit the challenges in the region and will justify the trust of the population. Consistent, but instant news and changes, taking decisions on short-term results at the first stage and at the same time management processes in the long term will be one of my top priorities’ – Tornike Rizhvadze said. Former Ministers of Finance and Economy and Agriculture have been substituted by Jaba Putkaradze and Tite Aroshidze. The Minister of Education, Culture and Sport of Ajara Inga Shamilishvili and the Minister of Health and Social Care Zaal Mikeladze maintain their positions in a new cabinet.